I think both are Chieftain. what confused me was the number plate and camo on the nearer one. I am curious if anyone here has any more images of captured Chieftains? I am heavily interested in learning more about them despite the lack of scare information about their usage, combat record and capture. 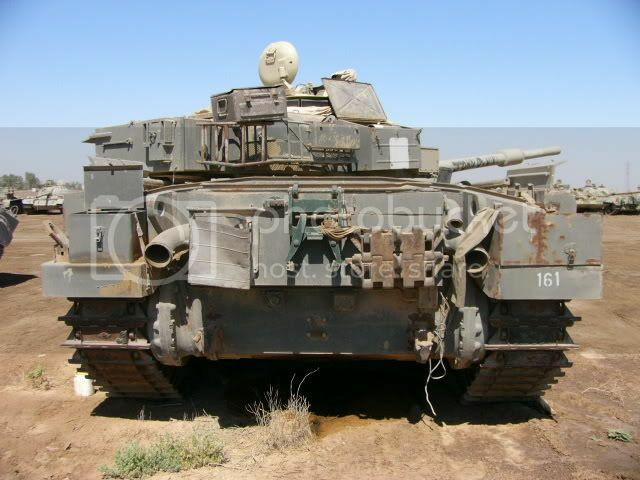 I am also trying to build a scale model of a captured Chieftain Mk. 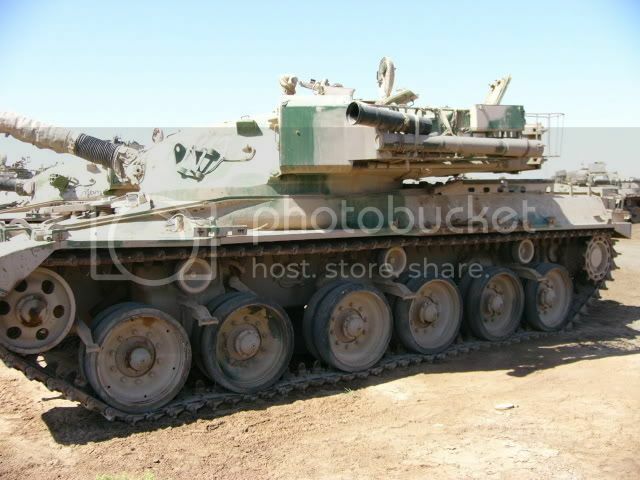 5 in Iraqi service and any photos that show the camos, colors and numbers would be great. ah. some of the old pic links died. 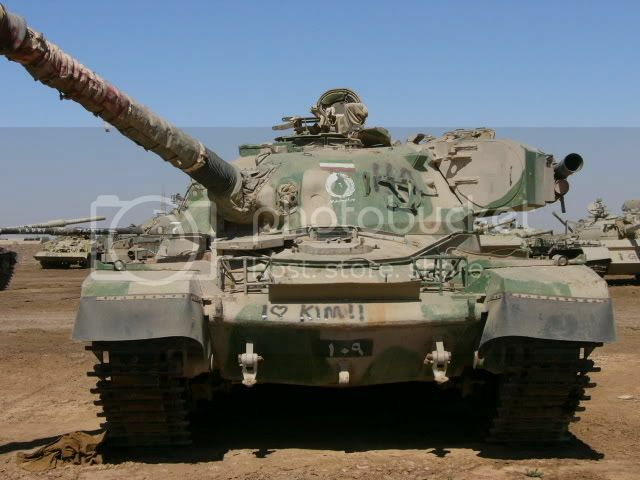 but a google image search for "iraqi army chieftain" should give you some decent collection. 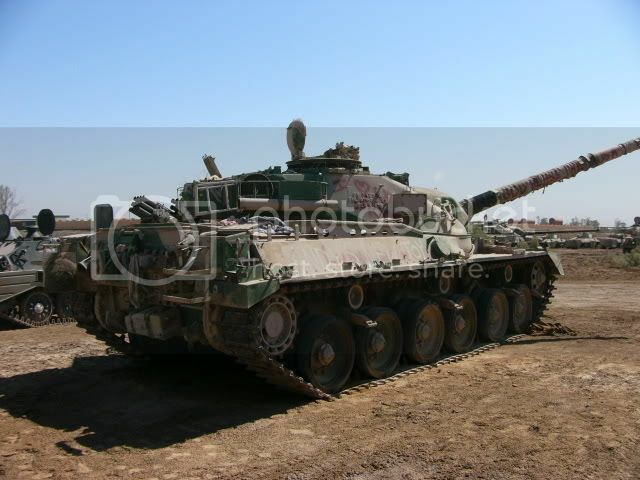 Its noteworthy that Iraq operated the full range of British Heavy/MBT from the Crusader / Churchill / Centurion and finally Chieftain. Interesting, I imagine most of them were captured however? The Centurion is new to hear about. 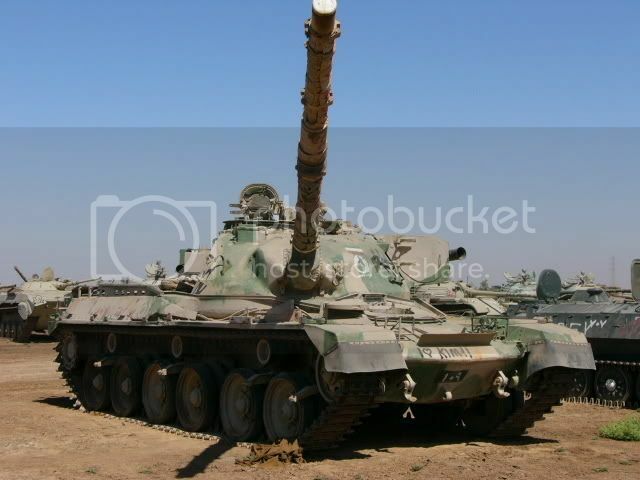 I know Iran fielded them, but information on their captured ones in Iraqi hands are scarce. 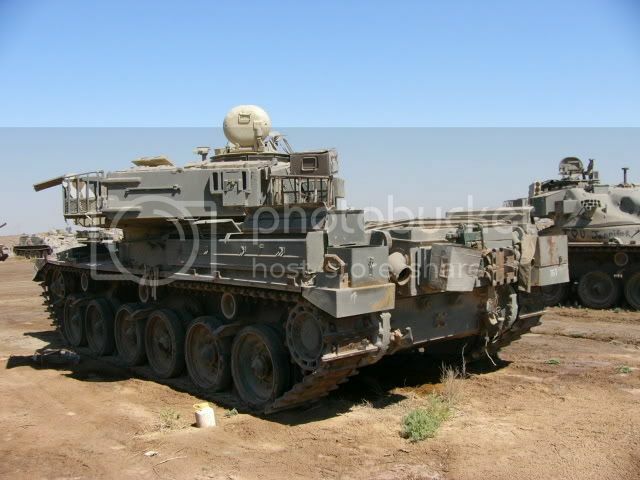 Since Iraq fought Iran and Israel I imagine they had some captured Centurions. To my knowledge they had Super Shermans even (although I cannot confirm the numbers) but I don't think those were ever put into service. 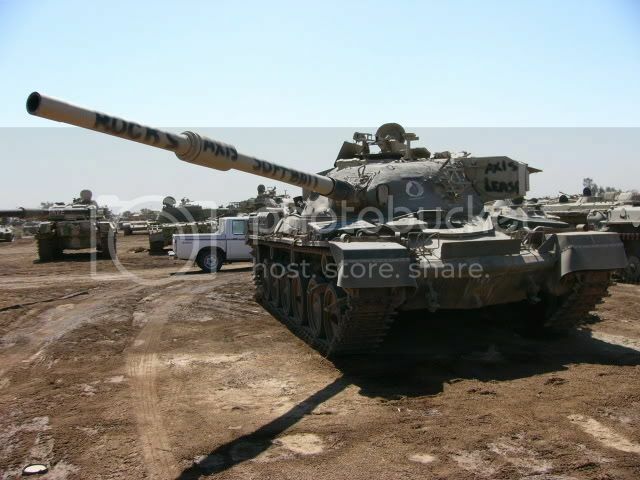 all were purchased by the royal iraqi army (before 1958) apart from the chieftain which were captured after 1980. Very interesting, were they still in use by the time of the Iran-Iraq War? no. 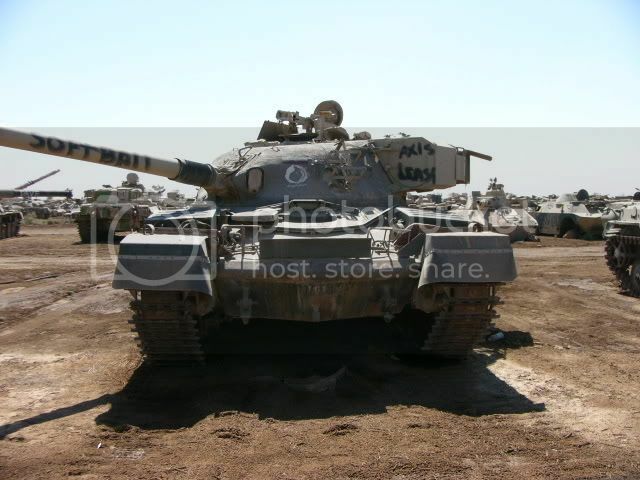 they were all replaced by T54/T55 and T62 by the late 1960s. 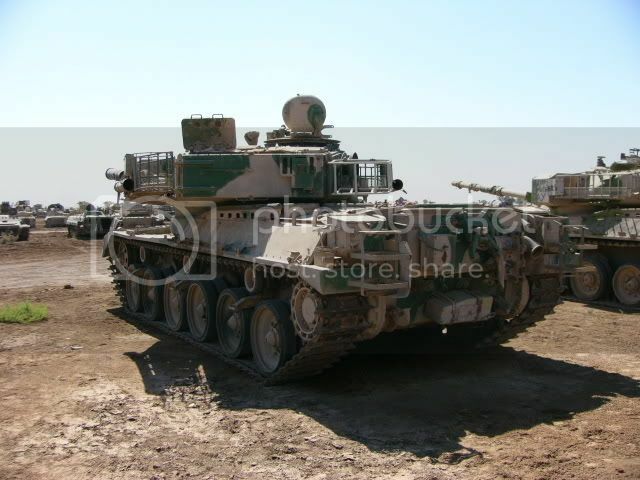 Some more images of Persian Chieftain tanks captured by the Iraqi Army. 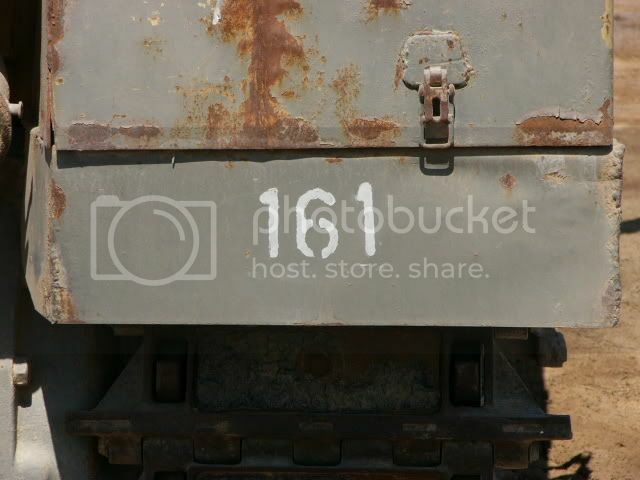 This one interestingly still has a gray paint scheme, similar to the British one, as well as Western numbers. 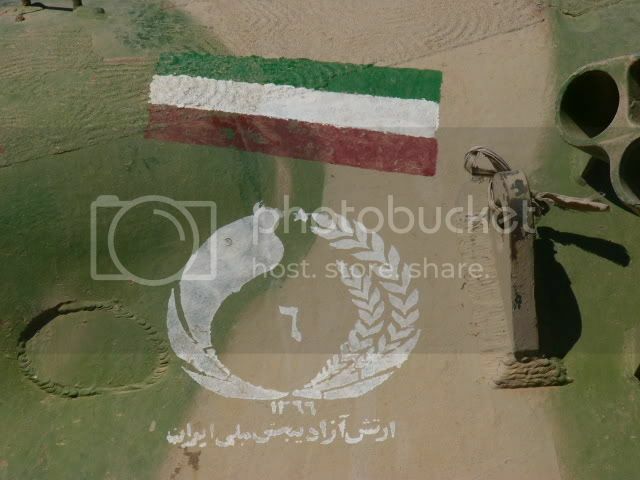 This one has Persian-Arabic numbers and a sand camo with green streaks, with the Iranian flag and what is likely a unit number.